Chartham_Color_Translucent_Envelopes__Paper is rated 4.6 out of 5 by 9. Rated 5 out of 5 by BBAG from blue translucent envelopes Love the blue envelopes!!! They go perfect with my self designed thank you notes. Rated 5 out of 5 by 2017College from Great price! Perfect invitations for graduation envelopes. The color goes well with the college colors. Rated 5 out of 5 by Jenjen from Excellent I bought too many to reveal, but believe me, I am happy! Rated 5 out of 5 by Dempsey from Every color! 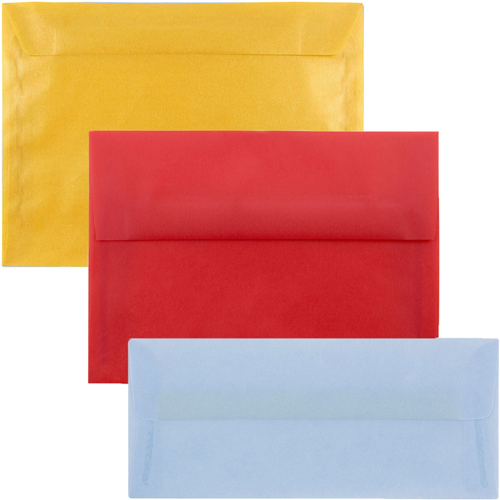 Often order various colors and sizes of the opaque envelopes. Colors true and they arrive quickly. Rated 5 out of 5 by Judith from Quality products I bought envelopes and card-stock paper to make Valentines. The products were just what I needed, and I had a lot of fun. Rated 1 out of 5 by swongdesign from Envelope does not stay sealed--lost invitations in the mail I ordered the Platinum Translucent A7 Envelopes (Item PACV716). The order was easy and fast. Envelopes were beautiful. However, once the envelopes were sealed, they did not stay closed. Unfortunately about 40 out of 90 envelopes mailed arrived to the recipient empty. The contents completely fell out. This came to my attention as others came back to my return address. These were for an event invitation. I called each guest to make sure they got an invitation and learned how many envelopes failed. I tested the remaining envelopes I had at home and the seal did not stay close after an hour or so. I recommend that these envelopes no longer be sold so no other customer has to be troubled with lost mailings. FYI, all other experiences with JAM products have been fine. Rated 5 out of 5 by Mizflores from great color I absolutely love these envelopes! I use them to send out my products and they really give a great branding image! If addressed by hand, will the ink dry and not smear? The ink should dry so long as you don't use a gel pen. A marker or a ballpoint pen will be just fine. Thanks for your question! I asked a question about what kind of glue to use with Chartham Translucent SHEETS not envelopes. I don't think the Dab'n'Gel Moisturizer is going to do the trick! What kind of GLUE please. We would go with a vellum glue tape dispenser. Here is one on amazon: https://www.amazon.com/dp/B00C9MOKBW/ref=asc_df_B00C9MOKBW5048249/?tag=hyprod-20&amp;creative=394997&amp;creativeASIN=B00C9MOKBW&amp;linkCode=df0&amp;hvadid=198090886690&amp;hvpos=1o3&amp;hvnetw=g&amp;hvrand=9294655505968980602&amp;hvpone=&amp;hvptwo=&amp;hvqmt=&amp;hvdev=c&amp;hvdvcmdl=&amp;hvlocint=&amp;hvlocphy=9003642&amp;hvtargid=pla-318306463846 Hope this helps! The paper weight of the translucent 4bar envelopes is 30. What kind of glue is best to use with Chartham translucent papers? Hello I'm interested in buying some paper and wanted to know if there's a promo code for a discount that I can use? The only promotion we have running currently is our Facebook promotion - where if you like our Facebook page, you will receive a promo code for $5 off your purchase. 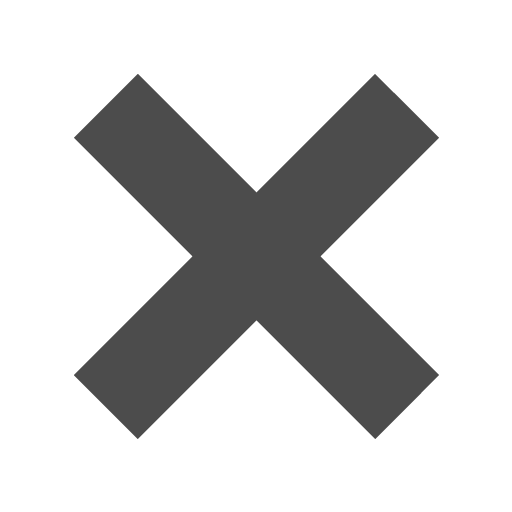 If you haven't liked us yet on Facebook, check us out here - https://www.facebook.com/jampaper/. Thanks! Does this paper come in a larger size than 11x17? Hello! 8 1/2&quot; x 11&quot; is the largest option for this Translucent Vellum Paper. 11&quot; x 17&quot; options can be found here - https://www.jampaper.com/PaperCardstock/11x17PaperCardstock . Thanks for the question! Can I order sample of some of your translucent envelopes? Yes of course! Check out our sample policy here: https://www.jampaper.com/Product-Samples.asp. You can pick up to 5 different colors! Is an A2 4 3/8&quot; TALL . . . by 5 3/4 WIDE? Can you confirm if this is correct. I need to plan on an insert and wish to first make sure of the size orientation. Thanks. Yes that is correct! Thank you for your question! Cross one thing off your list. When sending important mail, Chartham Color Translucent Envelopes give you the chance to express your creative side. Because you get to pick from tons of distinctive colors and sizes in order to create the perfect invitation or letter. Choose from a range of pretty lights, vibrant brights, and neutrals too. For any creative project, you can find the exact color you’re dreaming of. This is the best translucent paper and translucent envelopes in the industry. Chartham Translucent Envelopes have a unique see-through characteristic. Rather than sending a single-color envelope, you can design a nice contrasting palette. Simply pair your invitation with a complimenting color envelope. Since the inside contents are visible from the outside, your recipients will marvel at your artistic invitation design. These glassline envelopes are also offered in great bulk prices, without compromising quality. They are carefully made from natural vellum paper, which is made of pure cellulose fibers. They are also sturdy, acid free, and recyclable, in addition to being affordable. So if you’re in the midst of planning a wedding or other event, you can find relief in selecting the perfect envelope for a great price. No hassle and last minute searching. Cross the translucent envelope off your list.